When WAP told us about the plight of elephants used to give tourists a ride across Asia we couldnt wait to help! 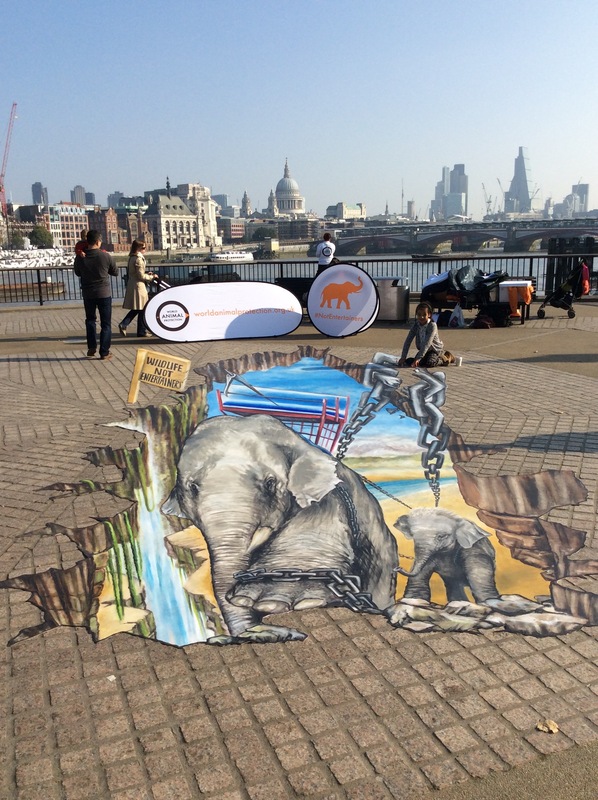 Using 3d Street Art as the focus of their campaign we created a giant 3d pavement picture to help communicate their campaign message. Members of the public had their photo taken with the artwork and in return signed up electronically to WAP's petition. The result was over 1.5m online impressions in two days, thousands of signatures and Thomas Cook finally agreed to meet with WAP to discuss removing elephant tourist rides from their tours.